Cayuta Sun Farm is proud to be part of the the 2nd Annual Finger Lakes Permaculture Tour on August 22nd, 2015. On this day over a dozen homes, parks, and farms will showcase how they utilize the practice of permaculture to create beautiful, abundant landscapes. 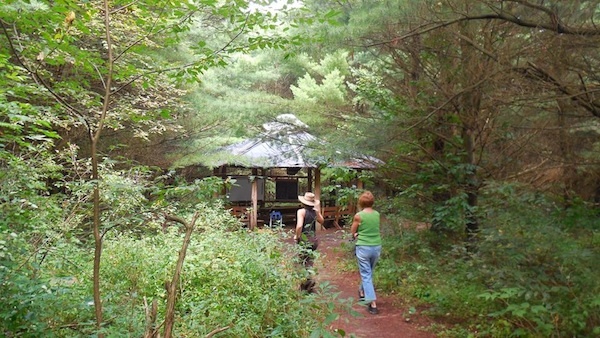 At 1, 2 and 3 p.m. visitors can attend “Introduction to Permaculture” presentations by teachers Aimee Heavy and Erin Humphries in our unique octagonal classroom . Amiee and Erin have studied permaculture design, taught classes and are each actively building their own sites. 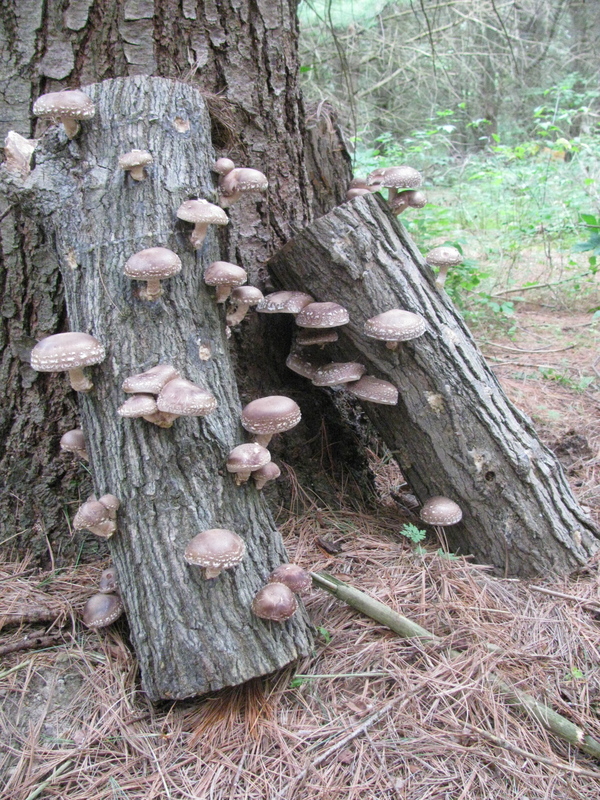 Cayuta Sun Farm interns Andrew Olcott and Jason Maanka will be present at the farm’s Shiitake mushroom yard to demonstrate and explain to visitors how we produce log-grown gourmet mushrooms. Farm co-owner Michael Burns will provide ongoing tours around the farm showcasing the design and development of the forest farming system that produces healthy, pastured pigs and chickens, plus other features including the home garden, the off-grid super-insulated house, facilities for permaculture education and many other features. 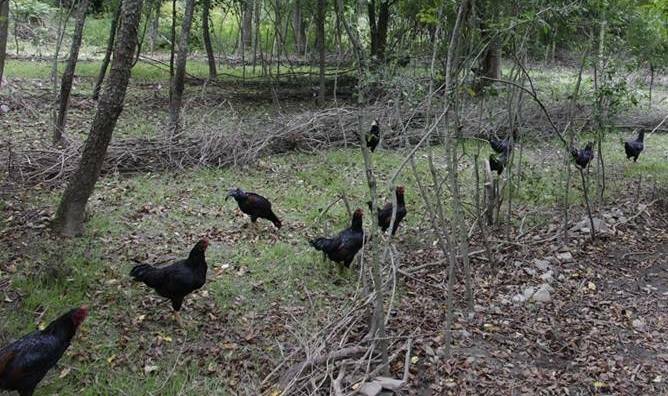 Beginning at noon and continuing past 3 pm, a chicken BBQ lunch will be sold and served to our touring guests. If you are coming from out-of-town, and need a place to camp, feel free to contact us. We may be able to share our land for a few nights. There is a very rustic hot shower and composting toilets for visitors. The weekend’s events start on Friday evening with a showing at 6 p.m. of the new permaculture film “Inhabit” that features local permaculture teacher Steve Gabriel of Wellspring Forest Farm. After the tours, all are invited to the Good Life Farm’s Cider house for a reception with food and live music. 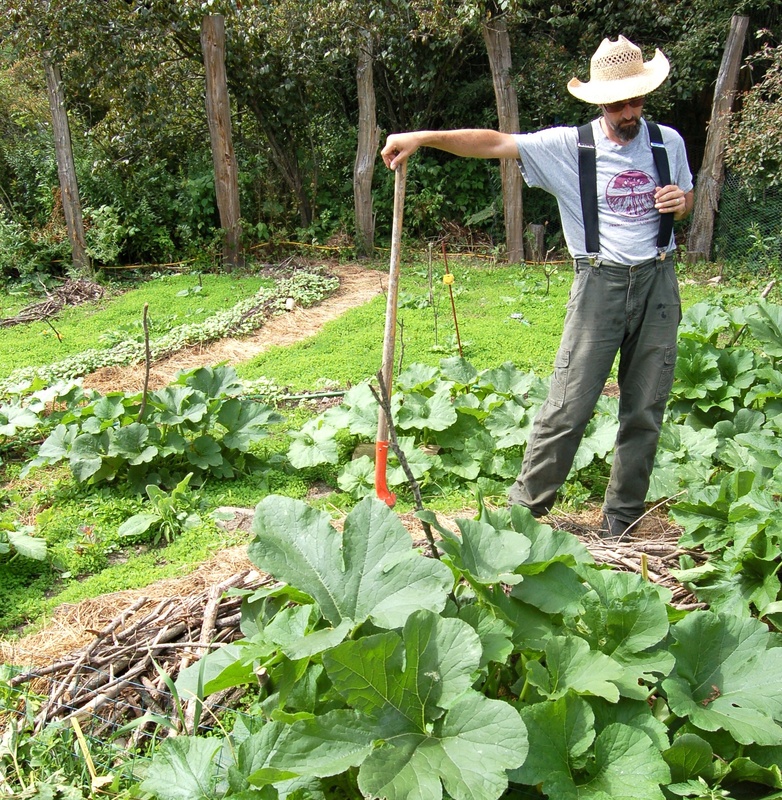 Learn about all these events at: http://fingerlakespermaculture.org/. You can also connect via Facebook for the tour and the movie.